Targeted intervention for small groups, class groups or year groups is aimed at improving academic learning skills. 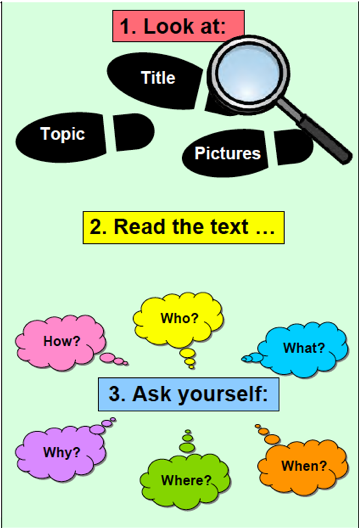 The 'Publications and Resources' section of the website contains many reading and learning strategy resources. 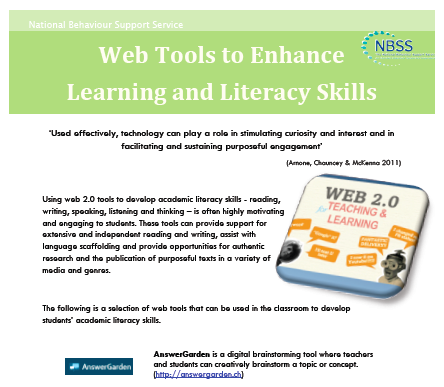 Check out this NBSS resource for web tools to enhance literacy and learning. 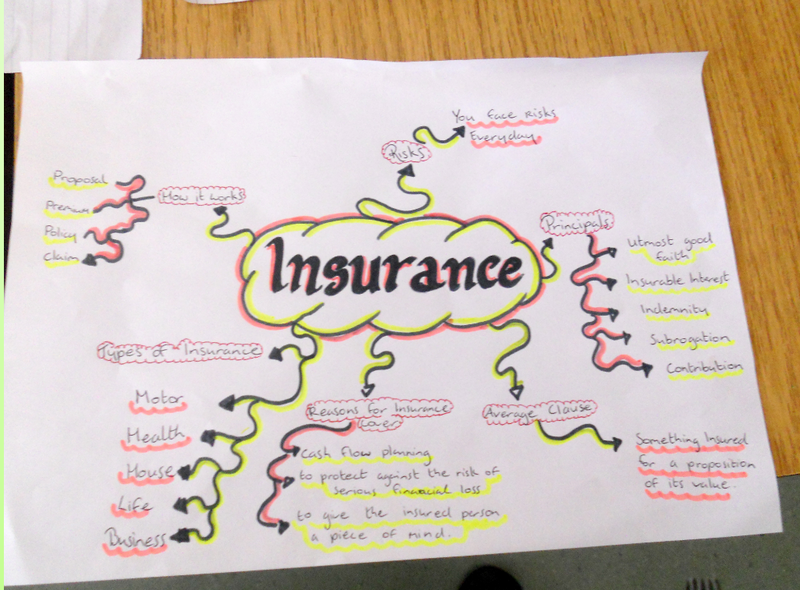 Strategies such as organising information visually can support the development of key skills, for example summarising as well as aiding retention and recall. 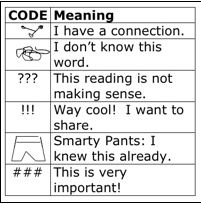 Coding text is one strategy that can be used to actively engage students with the text during reading. 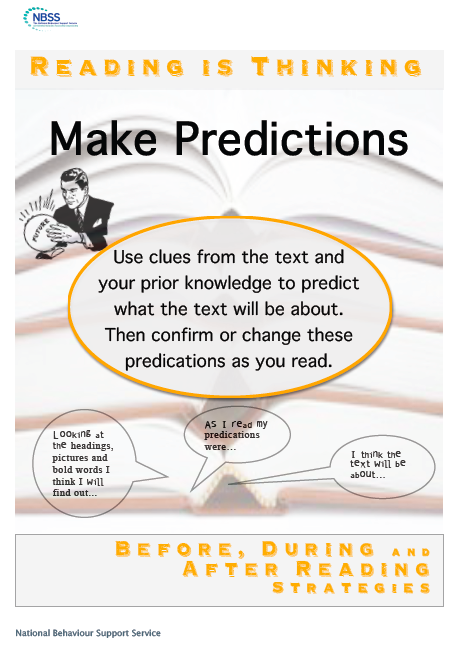 Among the skills effective readers and learners use are: Previewing, Predicting, Connecting, Questioning, Inferring, Summarisig and Evaluating. Literacy in the 21st century is more than reading and writing: 'The illiterate of the 21st century will not be those that cannot read and write, but those who cannot learn, unlearn, and relearn' - Alvin Toffler. 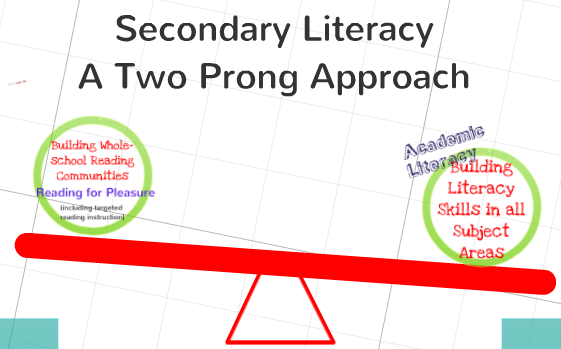 Two key elements of a whole school approach: (1) Promoting the importance of reading for pleasure (2) Explicitly teaching, in each subject area, those skills (e.g. reading, writing, speaking, viewing, listening, and questioning, etc) that lead to the ability to critically assess and use information in that discipline. 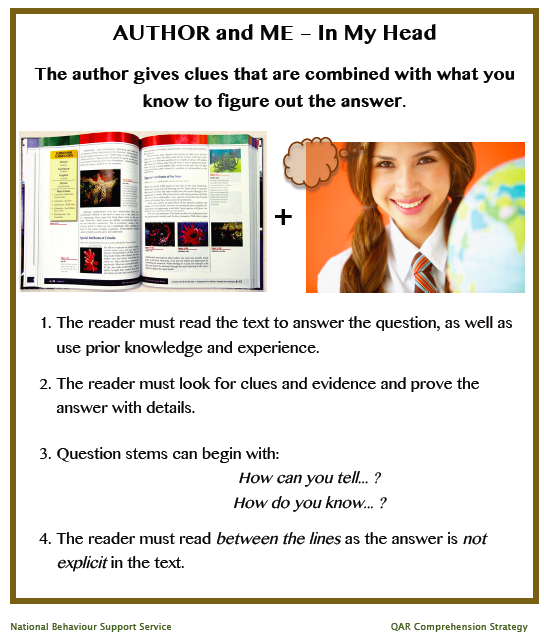 Good readers learn how to use cognitive and metacognitive strategies in conjunction to develop a deeper understanding of a subject topic, a character’s motives, a theme, etc. This NBSS resource provides ideas and evaluation tools that can support the development of reading and literacy skills for all students. Some students need targeted support to develop specific literacy skills. However, no single programme, resource or intervention will address all literacy needs. All subject teachers need to integrate the explicit and direct teaching of vocabulary, comprehension and writing skills necessary for learning in their subject area. Using strategies such as the Frayer Model as part of a targeted intervention can develop students vocabulary and language skills. 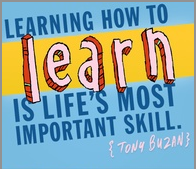 ‘Learning how to learn is a gateway to enhanced achievement and to the independence in learning that is a crucial developmental skill for students during the secondary years' (Hargreaves, 2004). The NBSS takes a pro-active and practical role in addressing the variety of requirements associated with Adolescent Literacy, including the encouragement of critical thinking skills and metacognition that are essential in ensuring that young people are equipped with the skills they will need to pursue further education, obtain meaningful employment and engage in the benefits of lifelong learning. Hargreaves (2004) points out that ‘learning how to learn is a gateway to enhanced achievement and to the independence in learning that is a crucial developmental skill for students during the secondary years'. Research on metacognition, particularly in Literacy and Maths (Paris, Wasik &Turner, 1991; Schoenfeld, 1992; Marzano 2000), makes the case that instruction and support in the control and regulation of thinking processes can have a strong impact on achievement and Adolescent Literacy research (Kamil et al 2008) on reading ability points out that it is a key predictor of achievement in Maths and Science. Literacy researchers are increasingly addressing the specific demands of academic disciplines within the post primary curriculum, as adolescents often need more sophisticated and specific kinds of literacy support for reading in subject areas, or academic disciplines. They argue that each subject area presupposes specific kinds of background knowledge about how to read texts in that area and often requires a particular type of reading (Gutherie et al., 2004; Schoenbach, et al., 1999; Shanahan & Shanahan, 2008; Yore, et al., 2003; Moje, et al., 2008; Lee & Spratley, 2010). For example, the demands of comprehending scientific text include not only an understanding of cause and effect and sequencing but also additional skills based on scientific reasoning and the ability to evaluate scientific arguments. The driving idea behind disciplinary literacy is that knowledge and thinking must go hand in hand and for students to develop literacy in a particular discipline, they must grow in these two dimensions simultaneously. Therefore reading and learning in each subject area requires a variety of thinking tools that direct students to engage in discipline specific reading strategies. As students advance through school they encounter increasing amounts of text, technical vocabulary, disciplinary discourses and demands for sophisticated text processing. 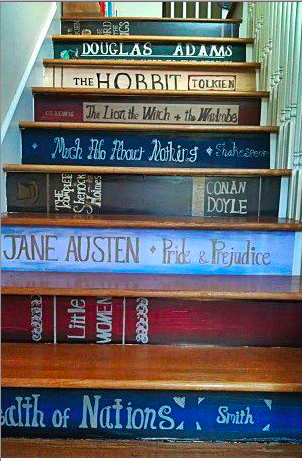 These high level reading skills require knowledge of how disciplinary ideas are communicated and how texts in each discipline are constructed. NBSS Level 1 school-wide academic literacy support aims to provide schools with research-validated practices in reading, vocabulary, writing and oral communication skills, as well as thinking, learning and study skills development. Embedding practices to acquire these skills into all subject areas not only facilitates deep learning and understanding of subject content but also enables students to become effective learners, learning how to learn and developing those skills and competencies necessary to achieve and succeed at second level and beyond. the specific language that students need in order to understand and explain the different knowledge, ideas, and perspectives of the subject. 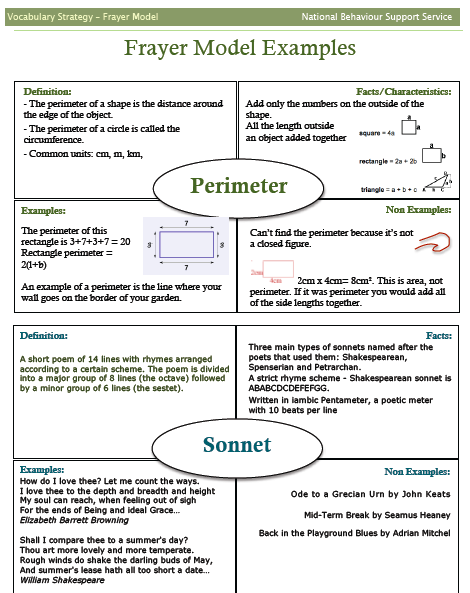 Students develop subject area literacy skills and knowledge more successfully when they are explicitly supported with a range of strategies to learn with and apply across subject areas. By integrating effective research-based strategies into routine classroom practice, teachers can enable students to read and write a wide range of texts, help them to become strategic thinkers and problem solvers and provide them with opportunities to apply reading and learning strategies in many different contexts. Making available intensive and individualised interventions for struggling readers. Research points to the importance of recognising the links between behaviour and academic problems and coordinating systems for prevention and intervention in both areas. 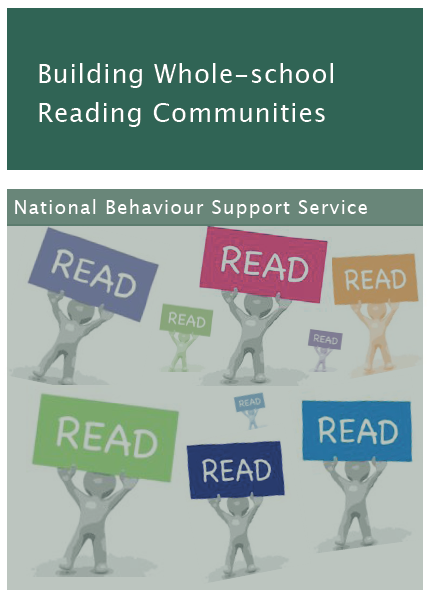 NBSS research has also pointed to the association between failure with reading and behaviour difficulties. For example, an exploration of the reading ages of students (N=2187) receiving NBSS Level 3 behavioural support from the Spring Term 2009 to the Spring Term 2012 revealed that 66.3% (N=1450) of students were reading three or more years below their chronological age. Additionally, 4.3% (N=96) of the students receiving NBSS Level 3 support had reading ages of 7 years or less. The negative effect of poor reading skills are well documented and wide ranging, for example poor academic achievement, low self-esteem, lower motivation to read, disengagement with learning and school, and behavioural problems. From NBSS work in post-primary schools it is clear that the strong connections between academic achievement and behaviour can mean that addressing challenges in one area can reduce difficulties arising in another. All subject teachers to integrate the explicit and direct teaching of vocabulary, comprehension and writing skills necessary for learning in their subject area. 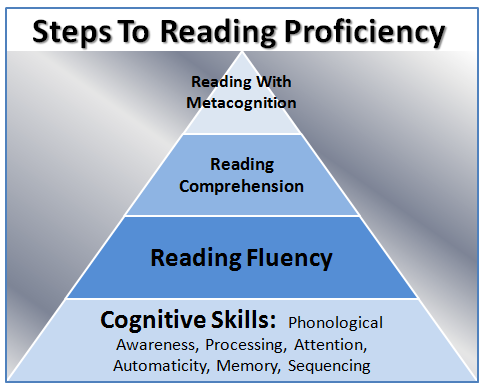 The need to develop and improve the fluency skills of some students. The need for systemic, intensive and explicit teaching related to phonics and phonemic awareness for a small number of students. 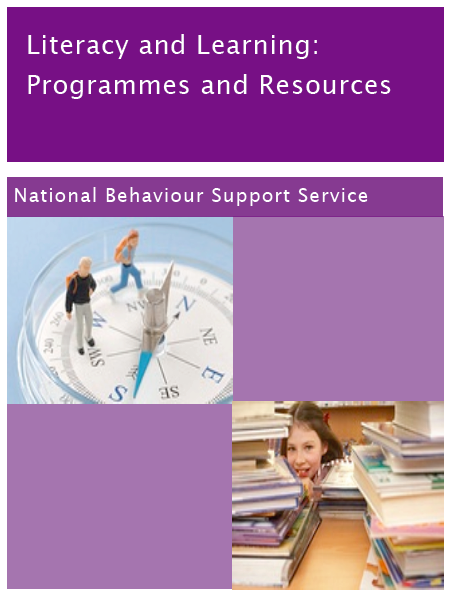 As part of its Model of Support the NBSS works with schools in developing and implementing specific interventions, strategies and approaches that support the development of the essential areas of reading - phonics and phonemic awareness, vocabulary, fluency and comprehension - for adolescent learners who struggle with reading. However , the diversity of student needs, learning style, teaching style and classroom conditions that exist in any school means that no one ‘right’ strategy or programme holds the answer to addressing literacy difficulties. But using evidence-based programmes and approaches as ONE element of targeted support can play an important role in a school’s repertoire of prevention and intervention supports for students. NBSS comprehension strategy, study strategy and learning strategy resources. As part of the 'Teacher as Researcher' Projects the NBSS also works with teachers on literacy, learning and study skills research projects across Senior and Junior Cycle. Teacher as Researcher Projects can be developed at all three NBSS levels of support and tailored to the needs of each school or student group. developing a young person’s social skills e.g. eye contact, conversation skills. Find out more about speech, language and communication needs here. 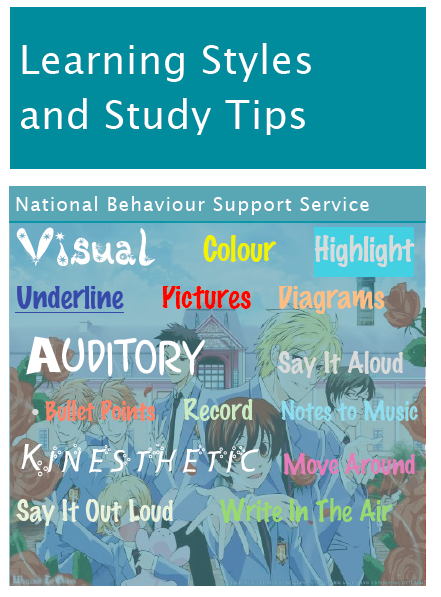 The NBSS teacher and student resources support the development of academic literacy, learning and study skills at Senior and Junior Cycle. 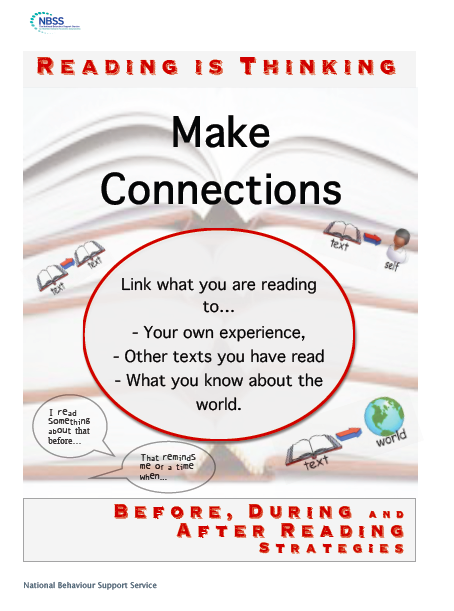 On the Publications & Resources section of this site there are over twenty five individual learning, reading comprehension, vocabulary, writing and study strategy resources available to download, as well as vocabulary notebooks, reading and learning bookmarks and posters.